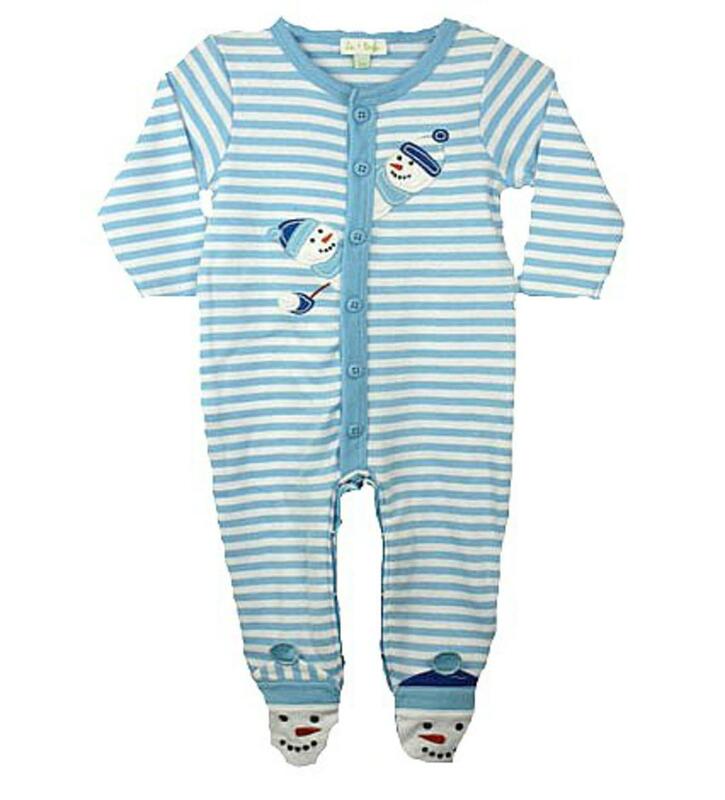 This adorable light blue and white striped coverall footie is ready for your baby boy to wear on Christmas. There is two applique snowmen peeking outside the buttons at eachother. The footies on the coverall are also two snowmen with different hats. There is six buttons down the front to get on/off easily and snaps on the inside of the legs to accomodate diaper changes. There is decorative buttons on the tooshie to add a little decoration. This soft outfit is 100% combed cotton.